EAPPI IN FINLAND: DEMONIZING JEWS OF JUDEA, SAMARIA AND HEBRON……. – The Tundra Tabloids……. 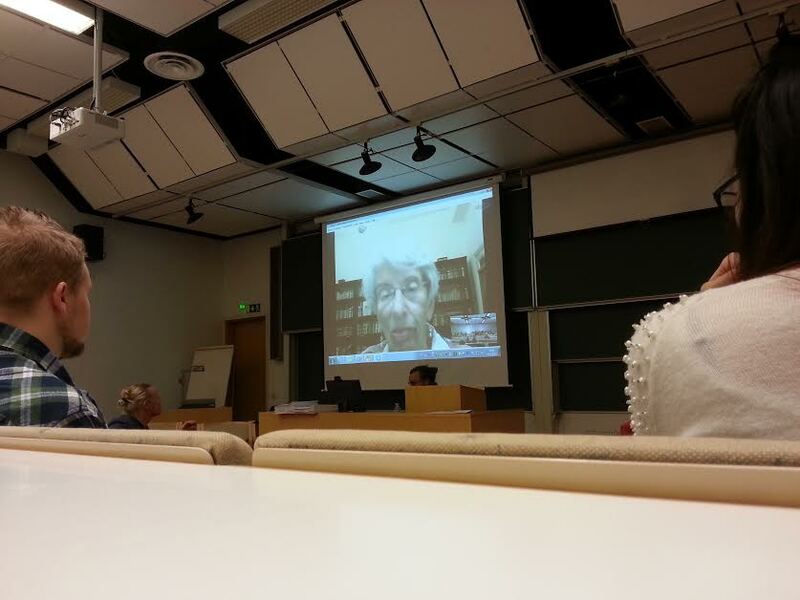 EAPPI IN FINLAND: DEMONIZING JEWS OF JUDEA, SAMARIA AND HEBRON……. 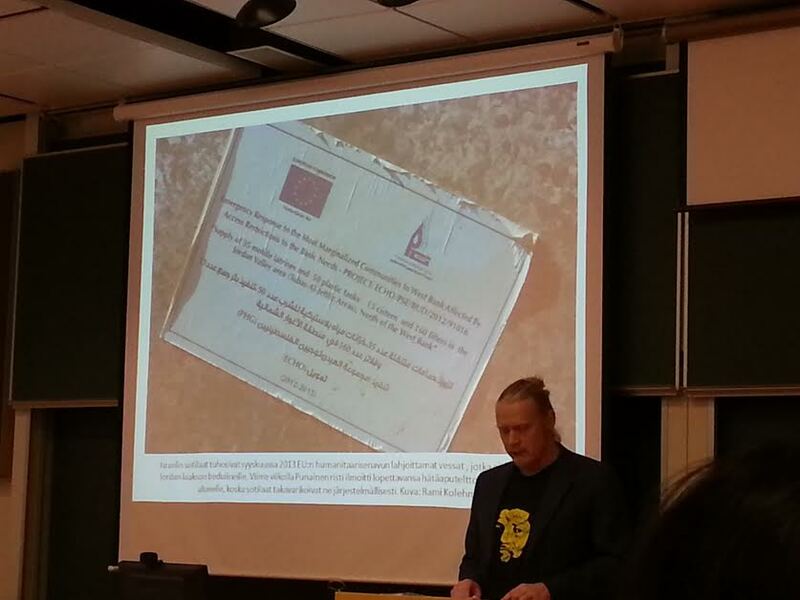 Yesterday there was an anti-Israel speaking event arranged by EAPPI (Ecumenical Accompaniment Programme in Palestine and Israel) in conjunction with Finn Church Aid which is funded by the Finnish government via the taxpayer. 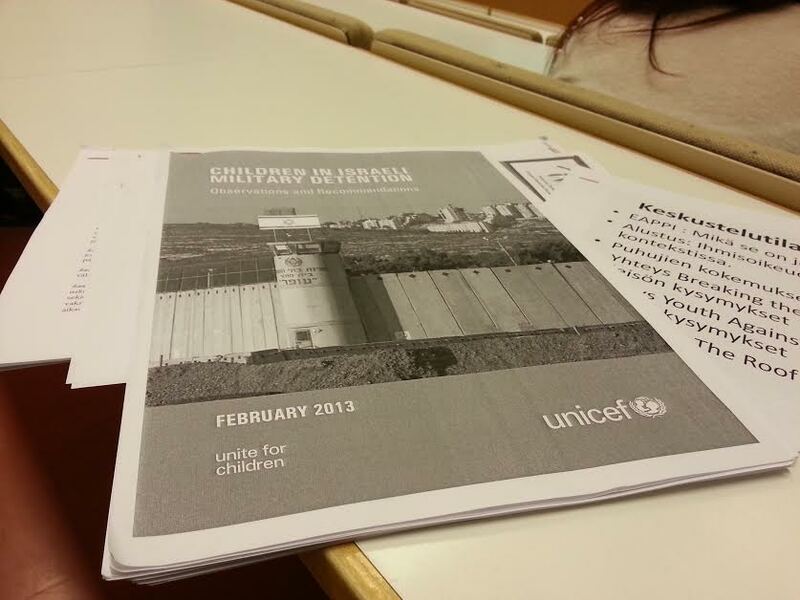 It’s making its rounds to all the major university campuses in Finland. The Finnish branch of radical extremist ICAHD, the Israeli Committee Against House Demolitions, are promoting the tour as well, so you can imagine the depth of shared agreement in their hostility towards the state of Israel. 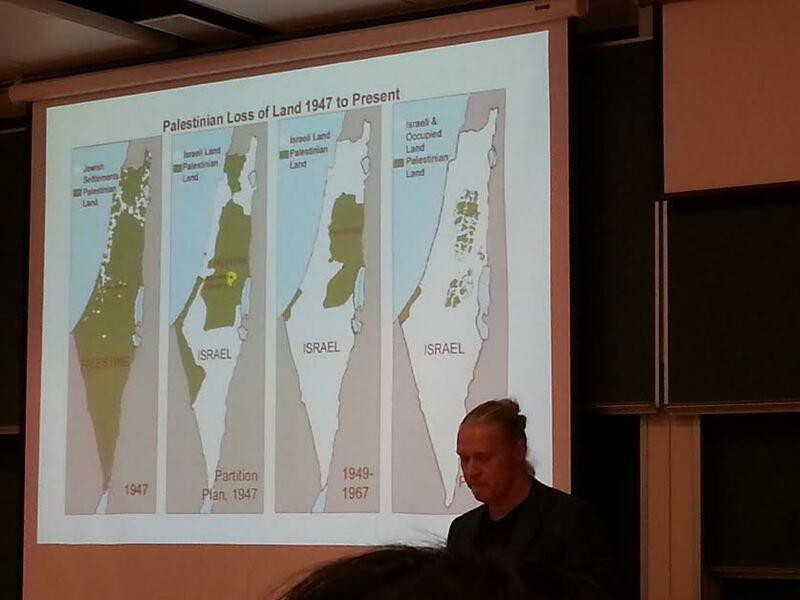 EAPPI- University tour /Jyväskylä / What is really happening in Palestine now? 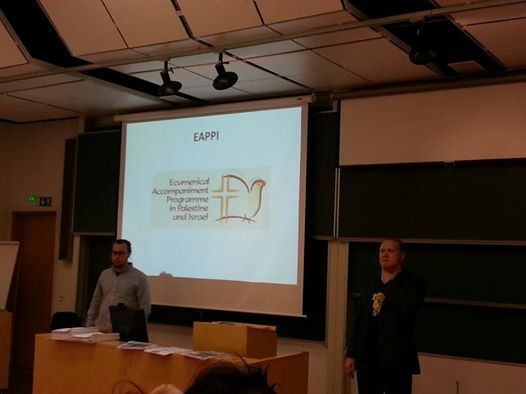 First up was Rami Kolehmainen, who gave a brief run down on what EAPPI supposedly stands for and their mission. They’re there supposedly at the behest of the local Christian community (he named Haifa as one of the communities inside Israel they respond to) to ”administer aid”. They are supposedly a ”grass roots” organization that has taken upon itself the task to observe human rights violations of the Arabs in the disputed territories, (he uses the standard term of West Bank). He made a point of highlighting their work as one of intervention between violent ”settlers” and their Arab victims. According to Kolehmainen he knows all about international law, has studied it, and says Israel is repeatedly in violation of it. For an example he brings up the Geneva Conventions 49, but fails to mention that it can only apply to an area belonging to a de facto recognized state as prescribed under UN laws. That in order for article 49 to be valid in this context, the area in question has to have belonged to a high contracting power, instead, it was internationally recognized, and still is under black and white law, a disputed territory. Basically they’re banking on the ignorance of the listener concerning these finer points, seeing that he’s a ”self defined expert” on international law. (So not). Kohlemainen goes on to state that it’s the settlements that keep the conflict going, Israel has the ways and means to control the Arabs, multiple I.D. cards, permits etc., while only casually referring to the terror that causes these draconian but necessary measures. In fact, he never once addressed the security measure that Israelis have to endure inside Israel, as a matter of everyday life to ensure its security needs. Israel was cast in the role of being simply vindictive, supposedly thousands of Arabs climb through the security fence (which he referred to it as such before correcting himself and took to calling it The Wall) which begs the question as to why its needed in the first place since no suicide bombing have occurred for a long time. To his credit he did mention, however begrudgingly so, that attacks and crime have come down since its being constructed. Then there is the so called Israeli usurpation of ”Palestinian land”: Using the map of lies that the Elder of Ziyon has definitively debunked, he went on to show (falsely) how Arab ”owned” land was taken away from them. Back to how Israel supposedly ”vindictively persecutes” the Arabs, Kohlemainen insists that the Palis have no rights, IDF soldiers are power hungry, ”it’s like a drug with them”, a miniscule percentage of cases brought up against them hardly ever end in a conviction, etc. etc. and etc..
Then it came time to really pulling the heart strings, the vindictive Israeli army and the judicial system vis-a-vis the poor children. They are hunted down in their homes as the IDF makes it a habit to rouse them in the middle of the night (supposedly intimidation and victimization tactic, actually its the best time capture suspects who are not fully awake and able to act quickly) as they trash their surroundings on purpose as a form of collective punishment. We are told that water is fully in the hands of the Israelis, using 88% of it, the Arabs have got squat, while their houses are being demolished (supposedly 300 in 2013) and their olive trees uprooted (supposedly 7000 in 2013 according to a UN report). Villages with no water, electricity, whole villages not hooked up to the grid at all, and not once, outside a vague statement concerning P.A. 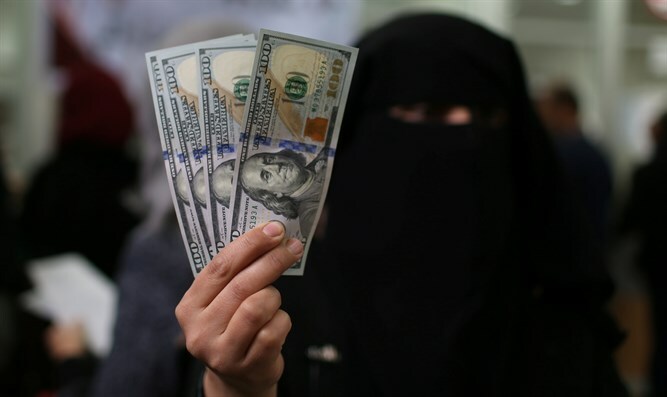 corruption where the Palestinians to blame for anything at all. The Arabs are the weaker party, Israel holds all the keys to power, so it’s all Israel’s fault, who for some inane reason left unexplained, they just love to persecute people. 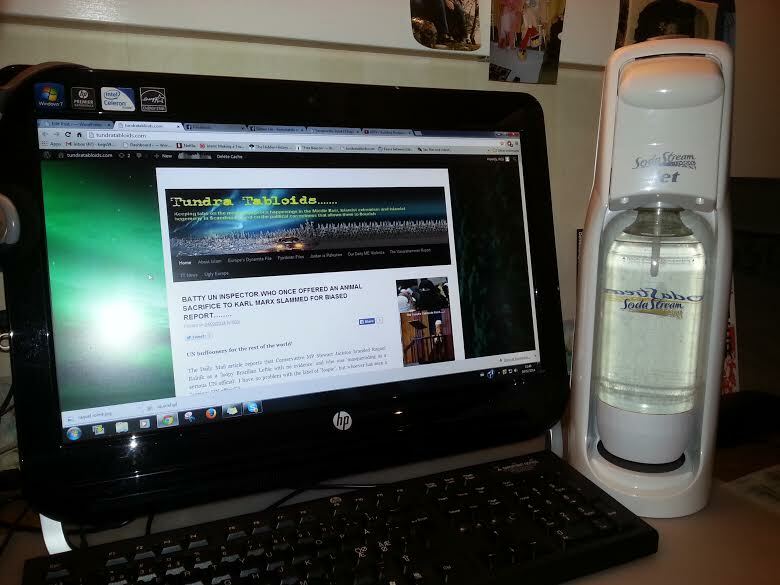 I responded to the issue of SodaStream after it was brought up by one of the members of the audience, saying the the firm is a direct response to the Oslo accords signed in agreement between the two sides, to encourage co-existence, it was one of the shining lights of that process, which was met with dead silence and they quickly changed the subject. I noticed that the presenters were guarding their words, while using the regular hyperbole used by such activists, they couched them in a way to use them, while not owning them directly. ”It is said”, ”others have described it as such”, but the understanding is that they fully back those words, they do not denounce them at all. An interesting note, neither of these self defined ”experts” knew about why the security fence is a wall in some places, and chain fence in other areas which comprise the majority. I had to school them and the audience that the Israeli government’s sole purpose is to save lives of their citizens, not to take land from owners, so in some places a wall does in fact exist, because it doesn’t demand a wider area for construction and service, chain link sections demand 25 meters or so on either side, totally unworkable in a city. That in itself proves that Israel is not vindictive, but actively seeks ways to secure its security without undue hardship to others, but this was all lost on these people, they couldn’t care less. Israeli extremist Hanna Brag from Machsom Watch, tells audience in EAPPI organized event that they should boycott SodaStream and the state of Israel. And yes, she was slamming her fist down on the table shouting and popping veins on her forehead. She admitted that the majority of Israelis deem her to be a traitor. This all of course is typical of the Left, present the Israeli position with extremes, and the Palestinians as hapless victims, and they play that formula to the hilt. One side note, they admitted that the BDS campaign really hasn’t a chance of succeeding, the Israelis would have to lose the US as a main backer for that to become a reality, and according to them, it simply isn’t going to happen. Report on an event held at the University of Turku, Tuesday, February 11th, 2014 at 17.00 -20.00 hours. The topic of the event was the human rights situation of the Palestinians in the West Bank. The main organizer of the event is a foundation closely connected to the Lutheran Church of Finland called The Church’s Foreign Aid of the, which participates in the international EAPPI-project of the churches (EAPPI= Ecumenical Accompaniment Program in Palestine and Israel). The organizers are arranging these events in universities around Finland during February 2014. 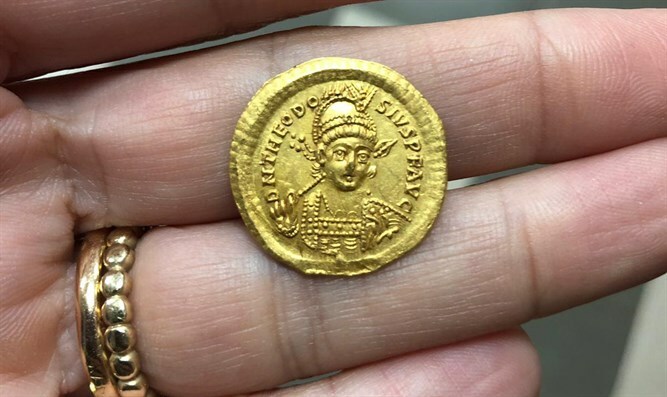 This report plus comments pertains exclusively to the event held at the lecture hall Calonia 1 in the legal faculty of the University of Turku. We were present at this very depressing event. We have believed that the Church’s Foreign Aid focuses on helping people in distress. This event, however, was organized solely to discredit the state of Israel. Three speakers had been invited to the event: Rami Kolehmainen, a reporter and teacher; Laura Kajala, a cleric and instructor plus Juha Hyrsky, a teacher. All of the speakers reported on the situation in the Palestinian territories very emotionally based on their own experience. All the reports vere extremely one sided. The main problem was, that all three speakers presented only the Palestinian narrative of the situation in a blatantly one-sided and skewed way. The organizers promised, at the beginning of the event, that questions from the audience would be welcomed. 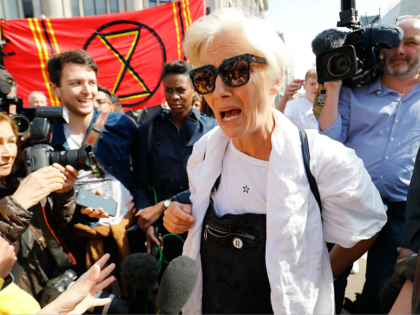 The entire set-up was, however such, that there no time for proper questions and the organizers tried to stop all interpellations. There was no intention on the side of the organizers to allow any proper debate; all comments were belittled with remarks like ”everybody is entitled to his opinion”. 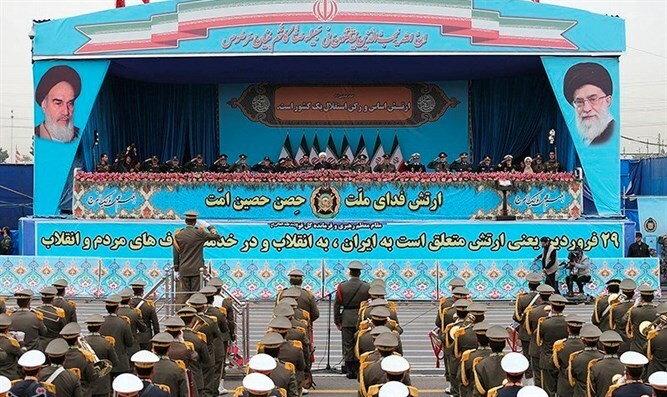 EAPPI, under whose auspicies the speakers acted, is a body seemingly working for the promotion of human rights, but the entire staging of the event was a dastardly one-sided smear campaign against Israel in general and the Israeli Army in particular. There was not a single remark on any violations, murders, corruption and other crimes perpetrated by the Palestinians. Nor was the audience given any chance to bring these matters up. The distortion of historical facts and the maps shown at the event had one purpose only: to portray the criminal Israel against the victimized Palestinians. The territories A, B and C as defined in the Oslo II accords, were not highlighted either because of a lack of understanding or more ulterior reasons. Everything was presented in a light according to which Israel has violated every agreement, whereas the Palestinian Authority was whitewashed from any responsibility – and its ability to function at all under the “brutal occupation” of Israel was questioned. 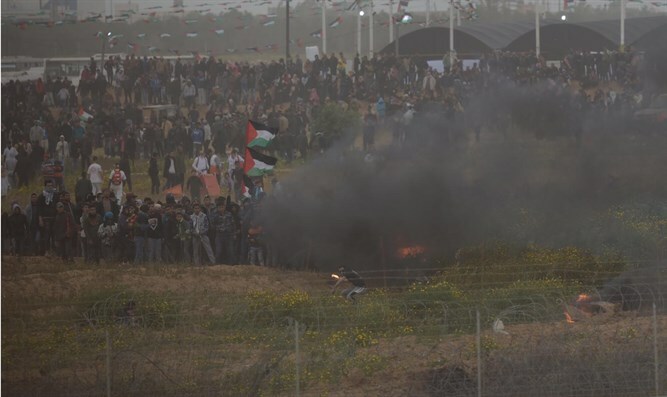 The above examples show with utmost clarity, that the ultimate purpose of the whole event was to provide yet another platform for dishonest Palestinian propaganda. Propaganda-events of this calipher serve no constructive purpose. At the event some partcipants noted that, such blatant instigations of hatred towards Israel have no place in a civilized society. The Finnish Lutheran Church and its Archbishop Kari Mäkinen as the chairperson of the Foreign Relations Committee of the Church, which appoints the members to the Board of the Church’s Foreign Aid foundation, bear a major responsibility in this calamitous affair. We wish to point out that contacts were made prior to the event with Mika Pajunen, the theological special assistant to the Archbishop, in the hope that the church would cancel the event in Turku and the whole propaganda tour around the universities in Finland. In our opinion the Lutheran Church of Finland should be much more concerned about the faith of the Christians in the Middle East and Africa in general and in Syria, Lebanon, Irak, Egypt and the Palestinian Territories in particular. It is our firm belief, that these areas are in much more urgent need of human rights observers than the Palestinians in the West Bank. Given the above facts one cannot avoid the question, whether the Lutheran Church of Finland and its Archbishop are deliberately or inadvertently condoning a policy, which stigmatizes and singles out the State of Israel and fosters animosity and hatred against Israelis. Another matter is the fact, that the University of Turku took no measures to check in advance the purpose of the event, gave the venue at the disposal of the organizers and enabled students of the history and political sciences faculties to score academic points from participating in an event, which fell short of all academic standards. A formal complaint has been forwarded on February 12th, 2014 to the Rector of the University, Kalervo Väänänen. We strongly believe that all right-minded people should react forcefully against such blatant dissemination of vitriolic hate-propaganda against Israel. We further believe that it is in the best interest of the Finnish Lutheran Church to initiate immediate action against the Church’s Foreign Aid foundation in order to stop the spreading of biased and distorted information of Israel and Israelis in Finland. 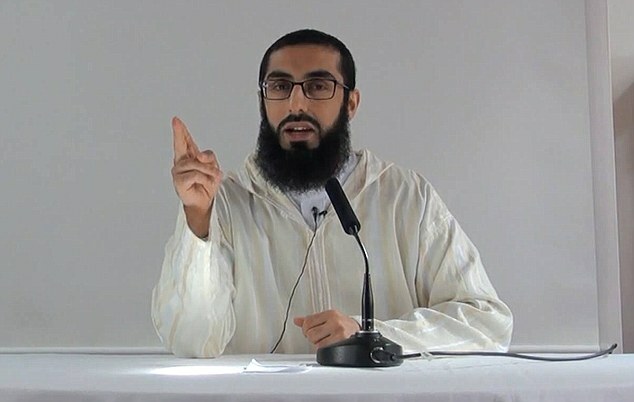 Previous Post Previous Post UK POLICE INVESTIGATE BRITISH LINK TO POP-TARD ATTACK AT SYRIAN PRISON……. Next Post Next Post UGLY EUROPE 13.2.2014……. KGS, keep up the good work! Congratulations. Thanks YS! Doing what can be done, and then some! Thank you for attending these evenings. “Demonizing” is a word to mislead religious-minded people in this context as the agenda of our evenings consisted of presenting the human rights in the occupied Palestine (occupation is the word frequently used by the Israeli media). I thank the writers of Tundra Tabloids for not denying the various violations of the human rights in the occupied/disputed territories of Palestine. This shows that even the critics of the event are ready to stand up for the just world and contribute in the process of building a just peace in the Holy Land together with all peace-loving and anti-military people in the Middle East. There are hundreds of thousands of them in Israel and it is these organizations EAPPI works with. To demonize the citizens of Israel willing to work for human rights in such organizations as Rabbis for Human Rights, Yesh Din, Tayu’ush, Betsh’elem and Breaking the Silence is probably not fair and tells something about the demons raging inside the minds the critics themselves. Also, using extremes to present the Jewish side of events is a long known method by the anti-Israel Left in demonizing Israel. Showing Jews in Hebron, who have had their share of pogroms at the hands of the Arabs over the past century, (as well as your buddy admitting to me that if the Israeli military were to suddenly pull out, they would be murdered) and then a Jew who openly admits that the overwhelming majority of the Israeli people deem her as a traitor, is how demonizers of Israel play the audience. It’s highly disingenuous and manipulative. 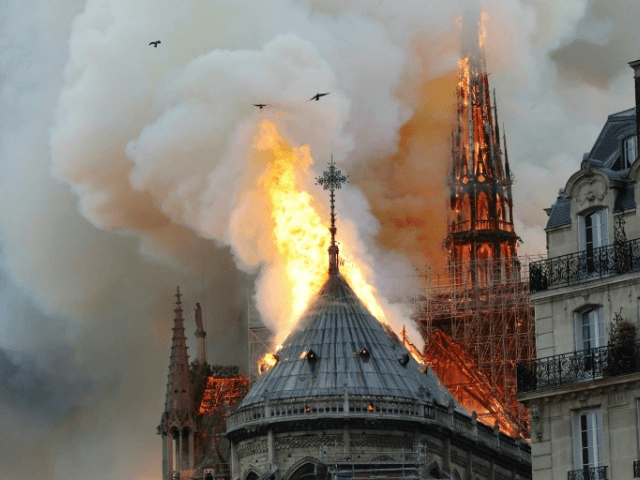 Sewing the seeds of hatred should never be the aim of any Christian organization, intended or otherwise, and sadly, that is what your organization does on a massive, regular scale. Your program / event is factually challenged, and you fail to present the Israeli side of the issue in full, which debunks the Arab propaganda you presented, especially the water rights etc. So the only demons raging, are the ones you and your pal planted in the minds of your audience. 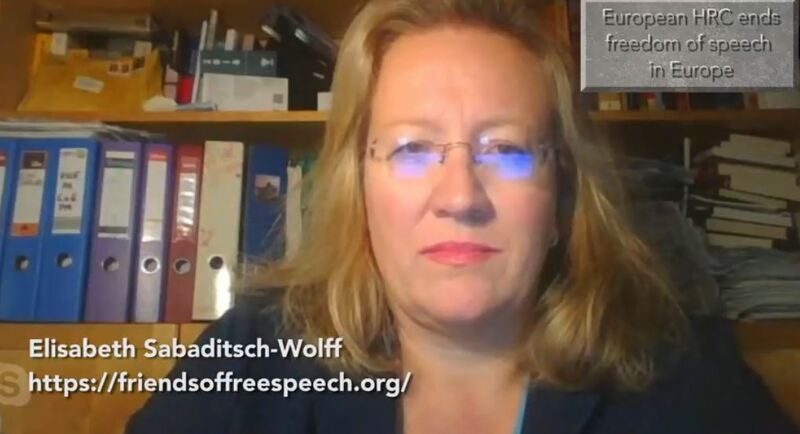 You know nothing about international law, I suggest you watch someone who in fact does, or at least understand the Israeli perspective, that they can very well defend their point of view, something that was grossly lacking from your biased presentation. Being one of the persons accused of demonizing the peace-loving people of Judea and Samaria, I submitted an answer to these accusations earlier this morning. It is obvious that my reply was deleted showing that demonizing is probably a bigger problem somewhere else than in events where international human rights and Israeli peace organizations are discussed. It is truly a sad thing to see. Hi Juha, your comment, as well as from any new commentors, needs administrative approval first. seeing that my website has been under DDOS attack from the Middle East, I have had much on plate to deal, and couldn’t get to your comment, for approval, quick enough. Both this comment and your prior one are of course approved, as well as any other comment from here on out. It would serve you much better to support a legitimate nation rather than a nation of terror whose people are made of a group of Arabs from different nations whose sole intention is to annihilate the Jewish people. This is a “People” who spend everything they have to participate in and promote acts of terror against Israeli citizens. This is a people who support and who are supported by other terrorists who are a threat to the entire world. It would be more conducive to support legitimacy and facts rather than propaganda and misrepresentration. These are a people who could not possibly maintain a peaceful state due their focus on terrorism. How do you suppose they could effectively be independent when all their funding is liquidated for the acquisition of weapons? This does not sound like a nation that would be a productive one that could make any contribution as Israel does such as in the fields of medicine, science , technology and agriculture. 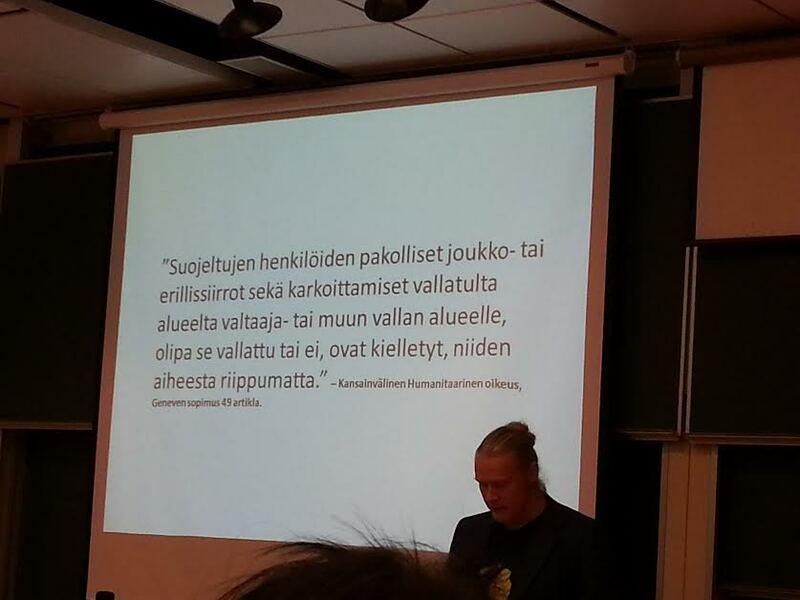 Juha, what is Eappi’s purpose and how do you think you have managed in your work? In Eappi’s webpage is your mission to “support local societies and civilians in matters of conflicts critical situations and to report of human rights in Israel and Palestine”. My question is where do you find support to your acts to be one sided in this matter? When you will report that there are good happenings in Israel all the time? Your focus is all the time what Israel is doing wrong and what the palestinians are doing right. You know this is bias and it affects negatively toward people who are involved in your work somehow. When you will tell your audience pure facts about Hamas and Fatah? Killing their own people, corruption… that there is no credible court dealing with palestinians human rights? As long as you say how sweet Hamas and Fatah are, and how bad Israel is, you have no credibility in my eyes and people like you blackmail Eappi’s original purpose.